Bethany regularly organizes performances and events for her private students to provide them with opportunities to grow and enjoy playing their instruments for others. Her students often play at studio recitals, nursing homes, flute ensemble concerts, competitions, and UMFA (Upper Midwest Flute Association) events such as its Marathon Flute Concert (an annual fundraiser for UMFA's scholarship fund) and its Rising Stars Festival (a non-competitive solo & ensemble event at Flute Fest). Some of Bethany's students play in local youth orchestras MYS and GTCYS, organizations with multiple levels of orchestras that provide opportunities for students at different levels of skill development. Several of them have successfully auditioned for the MMEA All-State Bands/Orchestras and/or honor band festivals hosted by colleges and universities in the region, performed with the Minnesota Sinfonia on their Youth Outreach Concerts, or even pursued music majors in college after graduating from high school. As well as teaching privately in the Twin Cities, Bethany teaches as adjunct flute professor at the University of St. Thomas. She previously taught for five years at Winona State University. Bethany strongly encourages her students to pursue opportunities to expand their musical growth during the summer. Scholarship funding is available from several sources to help students access these wonderful growing experiences. The Lake Sylvia Suzuki Flute Institute provides an amazing week of flute fun in a beautiful lakeside camp setting for students of all ages and levels, from toddlers to adult students. The Chione Quintet's quINTENS!VE Chamber Music Camp offers a fulfilling, fun chance for students in grades 7-12 who play woodwind quintet instruments (flute, oboe, clarinet, horn, bassoon) to build their small ensemble skills and grow as musicians. Bethany maintains an active flute teaching studio along with her performance work and has experience with students at all levels, from beginners to advanced players. Her approach addresses all facets of flute performance, including sight-reading, rhythmic reading, effective use of vibrato, technical proficiency, musicality and exposure to the flute repertoire in a positive, encouraging atmosphere. Bethany has completed Suzuki Flute teacher training in Books 1-9. Her teaching style is strongly influenced by the Suzuki philosophy idea that, given the right nurturing support and thoughtful, hard work, any student can grow wonderfully as a musician and as an accomplished learner. She helps students to develop not only skills of musical mastery, but also a positive "growth" mindset that emphasizes creative problem solving, strategic thinking, persistence, and attention to detail during the learning process. Students develop both ear-training skills (learning music by ear) and music reading/rhythm skills using separate sets of repertoire and technical exercises. In addition to their individual lessons, students can participate in monthly group lessons and/or chamber music. They have opportunities to perform for each other during class and in concerts, learn and build new skills together, and play ensemble music. This experience helps students to develop ensemble skills such as tuning, blending, and musical awareness. It also helps them build teamwork and social skills. Involvement in a community of musician peers provides wonderful opportunities for growth and enrichment. 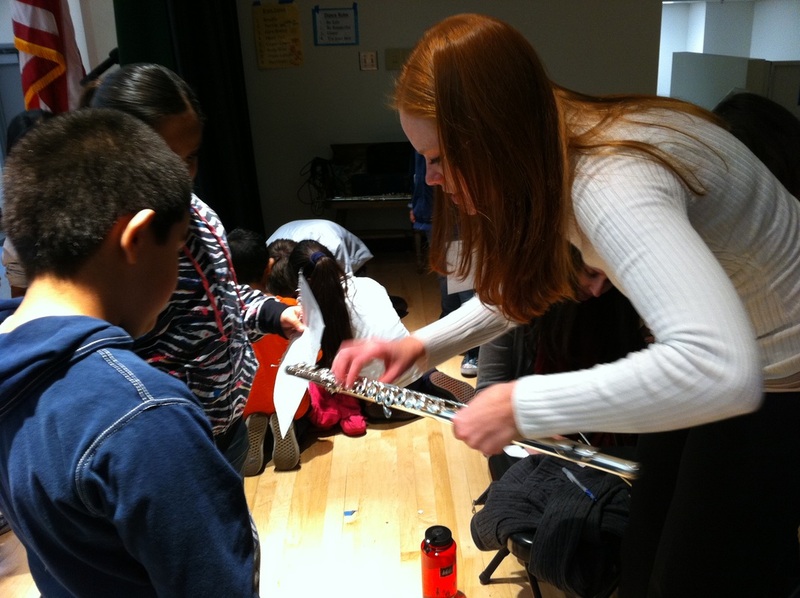 Bethany is also available to teach flute sectionals in public and private schools in the Twin Cities area. If you are interested in a free trial lesson, or if you are a band director or music teacher interested in flute sectionals/clinics/master classes, please fill out the form on the Contact page. Above: In February 2015, Bethany and her colleague Andrea Myers directed UMFA's Suzuki Flute Choir, which premiered 4 new works generated by a ComposerQuest challenge they proposed the previous fall. See more videos on UMFA's youtube channel!